Product information "SRAM Guide R Disc Brake - black"
What's it going to take to ride that line? It's steep. It's rocky. You've passed it a hundred times. But not this time. With the all-new SRAM Guide R, you have the power. Proven 4-piston calipers give you smooth, one-finger control. Features like Reach Adjust let you dial it in just right. And Guide perfectly complements other SRAM components and gives you flawless performance on every ride. 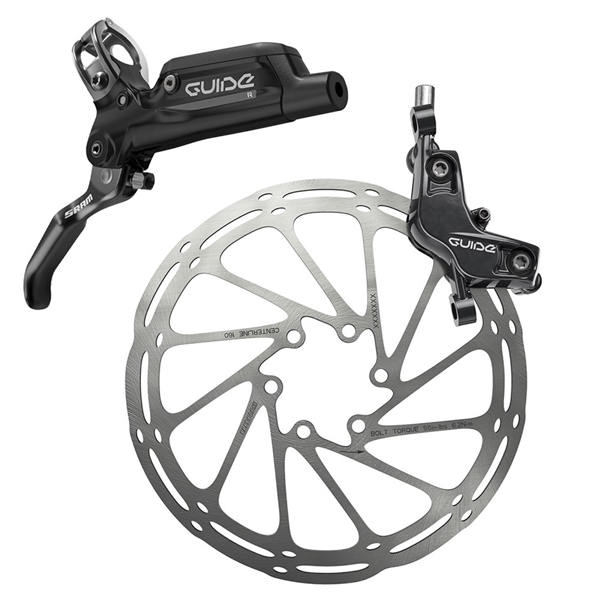 Related links to "SRAM Guide R Disc Brake - black"
Customer evaluation for "SRAM Guide R Disc Brake - black"